Strength. Courage. Majesty. These are the attributes of the mythical griffin that are infused in Griffin Cues. Featuring unique Steel-Tite joints, warp resistant wood stabilizers and a polished UV coating, with every Griffin Cue, you will get a tournament level quality pool cue at a phenomenal price. Just because they're affordable though, doesn't mean they're cheap. Each Griffin cue receives five rounds of turning to ensure a straight cue, high impact chip resistant ferrules, pro tapered hard rock maple shafts and Irish linen wraps pressed to perfection. Every Griffin cue features a 1 year manufacturer's warranty against defects and includes a set of free joint protectors. Griffin Cues - Inspired by Masters, Priced for the People. 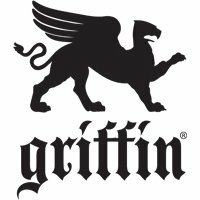 PoolDawg is an Authorized Dealer for Griffin cues.